Receives MRC Award for Patented AI-Powered Software Platform That Protects Web, Mobile, and API Application Services Against Automated Bot Attacks. SUNNYVALE, Calif.--(BUSINESS WIRE)--Cequence Security, a provider of innovative application security solutions for today’s hyper-connected enterprises, today announced that the Merchants Risk Council named the company’s bot detection platform a winner of the 2019 MRC Technology Awards at the annual MRC Vegas 2019 Conference. The award recognizes superior solution providers making substantial contributions in the fraud, payments, and risk industries. Cequence Security’s CQ botDefense solution, which runs on the Cequence Application Security Platform, was recognized for its unmatched ability to automatically detect and defend against malicious bot attacks, including those targeting on-line retail businesses. With malicious bots now accounting for fully one-third of all Internet traffic, hyper-connected enterprises are increasingly finding their Web, Mobile and API assets being targeted for account takeover, business logic abuse, financial fraud, application DDoS, denial of inventory and other potentially catastrophic business disruptors. CQ botDefense is a cloud-native application that can be rapidly deployed in private and public clouds, as well as on-premises data centers. Winners of the MRC Technology Awards are committed to integrity, innovation, and ingenuity by delivering world-class products and helping merchants successfully fight fraud and optimize payments. 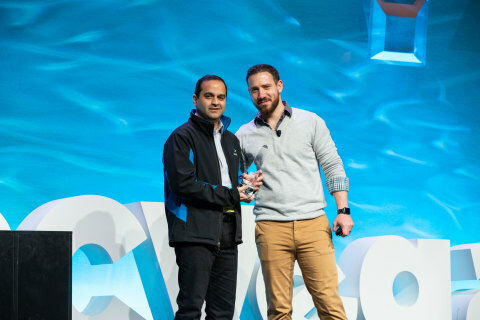 Cequence Security was also named a 2018 Gartner Cool Vendor and has amassed several prestigious awards and recognitions in 2019. The platform, designed to support multiple application security modules, has initially focused on stopping malicious bot attacks, which are often undetectable by traditional security tools. As an independent, not-for-profit business association, the Merchant Risk Council's mission is to facilitate collaboration between eCommerce payments and risk professionals. Year-round, the MRC provides valuable resources to its members that include proprietary educational content, webinars, best practices, industry trends, benchmarking reports and whitepapers. In addition, the MRC hosts four annual conferences in the U.S. and Europe, as well as several regional networking events which provide an opportunity for industry professionals to build stronger connections with industry stakeholders. With the vision of making commerce safe and profitable everywhere, the MRC was established in the year 2000 by a group of eCommerce professionals from leading consumer brands invested in supporting their organizations' risk management efforts. Today, the MRC supports a diverse mix of over 500 member companies representing a wide variety of industries, technologies, services and solutions focused on optimizing payments and reducing eCommerce fraud. Cequence Security delivers a game-changing application security platform for today’s hyper-connected organizations that rely on web, mobile, and API application services to support business processes and enable customer engagements. The platform leverages an AI-powered analytics engine to consolidate multiple functions that strengthen the security posture of these organizations against a broad range of application attacks. The automation within the analytics engine also improves the productivity and efficiency of IT resources. Cequence’s management team includes Larry Link, CEO, Ameya Talwalkar, CPO and Shreyans Mehta, CTO. Larry led the worldwide sales team for Palo Alto Networks from 2007 to 2012. Ameya and Shreyans led the development of Symantec’s anti-malware platform. The company is venture-backed and headquartered in Sunnyvale, CA. Learn more at www.cequence.ai.